Correct Understanding. In-line with our earlier discussion of yoga drishthi, one must gain a full understanding of their senses of perception and root out the conditioned thoughts and attitudes within the subconscious mind -- those that lead to misperceptions and erroneous views. One must cultivate clarity, develop the proper mental view and outlook on life, and the ability to correctly appraise situations in order to act appropriately. Correct Thinking. One must constantly strive to maintain the highest of ideals. One must always proceed with spiritual correctness in attitudes and thoughts, and without selfish motivation, ensuring that all decisions are evolutionary and for the greater good of humanity. Correct Use of Speech. The yogi thinks before he/she speaks, understanding the power of the spoken word and the great harm that is caused by its careless use. In line with our discussion on satya, the yogi speaks only that which he/she knows to be true, and uses speech only in beneficial ways. A perfect axiom is: "One should speak only when they can improve on the silence!" Correct Action /Conduct. As Swami Gitananda reminds us: "Don’t become trapped in duality, where mind is high but conduct is low." The yogi must be ever mindful that his/her actions are ones that support evolution and not devolution. Swamiji also cautions: "A spiritual schizophrenic is a menace to mankind. Avoid 'situational ethics'... Rather, act on 'long-term goal awareness'." Be ever-mindful of the spiritual big picture. Correct Livelihood. It is difficult to walk a spiritual path if your mode of living isn't in line with spiritual ideals. These days the common motivation seems to be to find work that you enjoy. Yet enjoyment alone isn't a barometer of 'positive' work. Many professions are not harmonious to the inner life, so one should strive to engage in work that both supports their spiritual ambitions and is also useful to mankind. Correct Effort. The yogi gives ceaselessly. He/She is the one who steps forward when action is required, and not one who retreats from responsibility. The vocation of the yogi is as a tireless and self-less ambassador for health, harmony and higher ideals. Correct Mindfulness. The yogic mind is not an idle mind. The yogi does not allow his/her mind to become distracted in fantasy and negative thought. 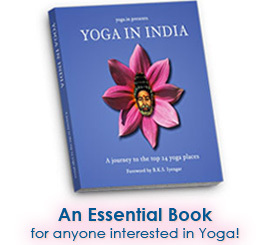 One on the path of yoga must constantly strive to keep their mind occupied with evolutionary activity. This involves proper study and inner life pursuits. The appreciation of art and beauty (sundaram) and the exploration of psychology and philosophy are noble pursuits. The cultivation of peace and inner serenity, and the engaging in sense withdrawal (pratyahara) and inner concentration should be a mainstay of the yogic mind. Correct Contemplation/Concentration. Svadhyaya, or self-study, should be a relentless pursuit of the yogi, always endeavouring for deeper understanding of their self. One must strive to understand the 'human condition' to profound proportions, and hence gain and clear understanding of their surrounding social and cultural environment. 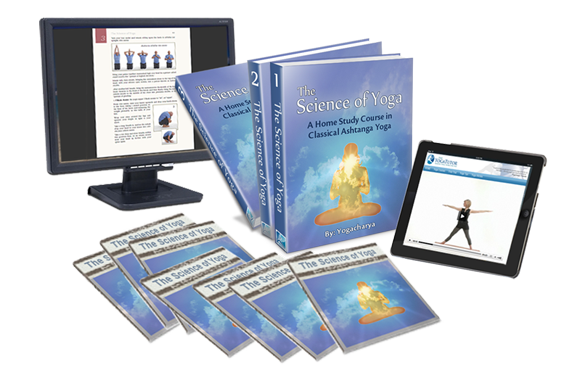 The yogi must strive for awareness and continually develop their intuitive ability and faculty of insight. The development of the buddhi (or inner teacher) is of paramount importance to the evolutionary life. The evolutionary path is the destiny of all, yet it is up to each of us how and when we will follow its course. The spiritual path is not necessarily an easy path, yet in the end, it is the only rewarding path. It has been said that worldly (material) life is sweet in the beginning and bitter in the end -- whereas the spiritual path can be a little bitter in the beginning but sweet in the end. As the KATHA UPANISHAD states: "Do not mistake the pleasant for the good." That which is good is not always pleasant, and that which is pleasant is not always good. The yogi always chooses the good over the pleasant and never loses sight of the spiritual big picture.